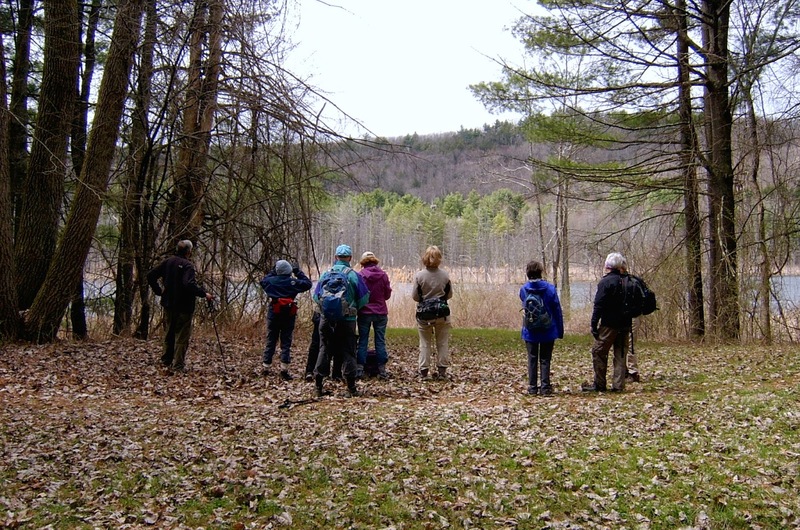 Tuesday we visited the Myrin Preserve to see the heron rookery and walk the trails. The preserve is along the Muddy River on Monument Valley Road. 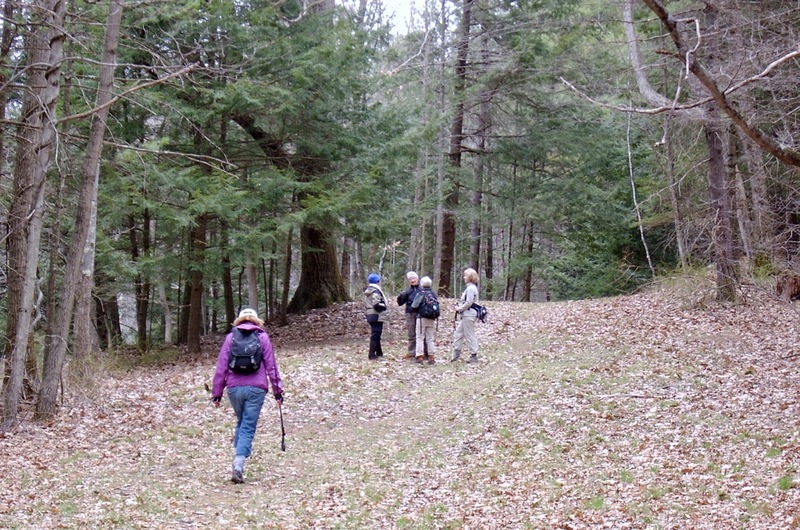 Access is on foot, down the continuation of Blue Hill Road. 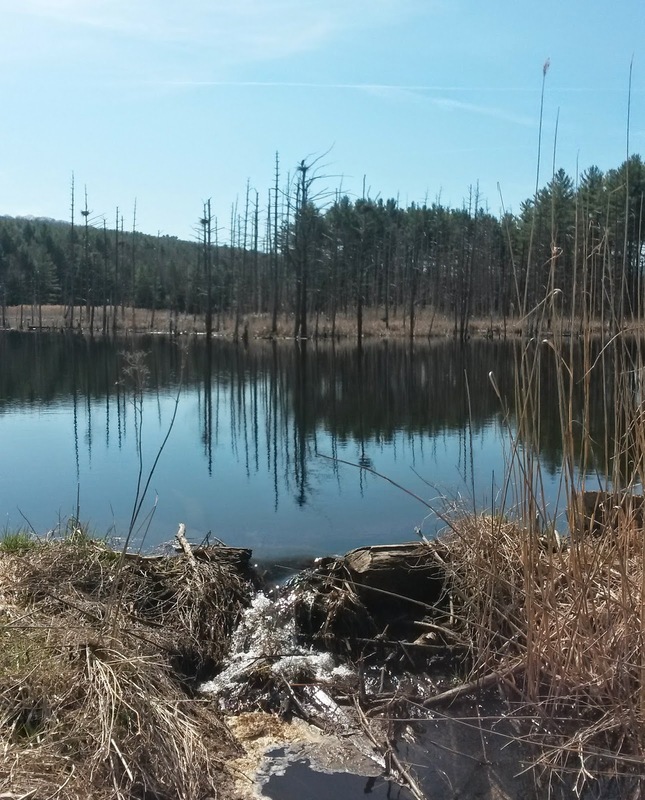 The river in this swampy valley floor has been impacted by beaver activity. 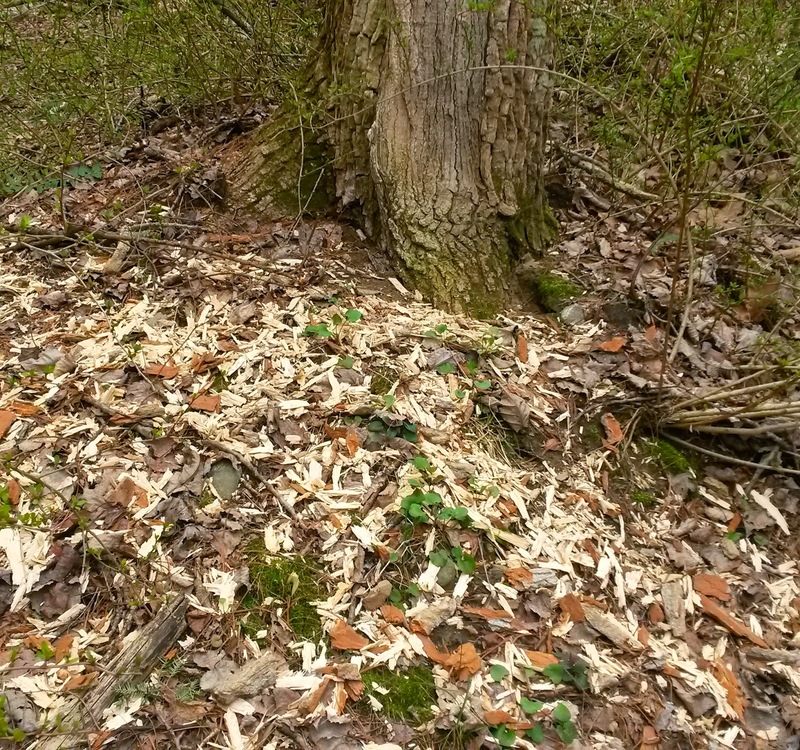 Many trees have died because the beaver-created water impoundment covered their roots. Voila! A perfect place for heron nests! Besides great blue herons, we saw Canada geese, several different ducks and warblers, an osprey (I think) and lots of swallows skimming the water. A sign requested visitors to be quiet so as not to disturb the nesting herons and other wildlife. A good rule to follow. outlined against the sky. There are at least 6 occupied nests. 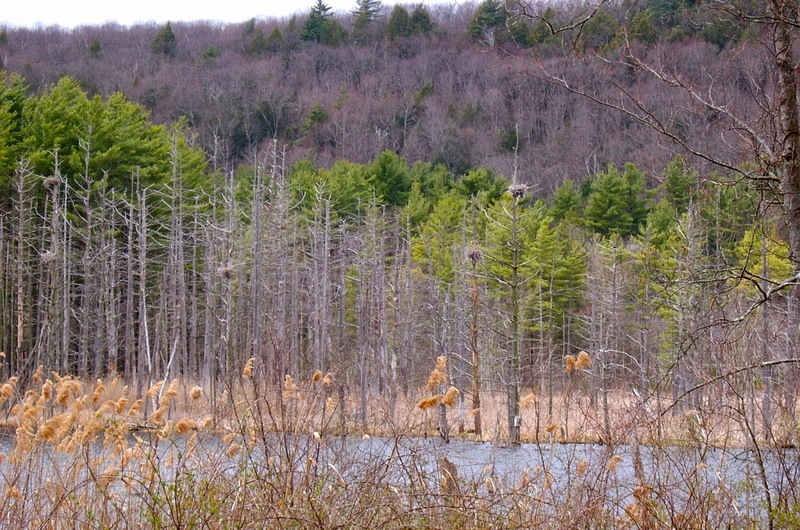 Five nests high above the water are visible in the tops of the dead trees. We watched the activity from another viewing spot. we observed several flying around in their slow and graceful way.Photo by Marina Wilber. The trails are wide and flat. Photo by Marina Wilber. Wow! What a lot of fresh wood chips and shavings. When I see this in the woods, I always look up the nearby tree trunk. 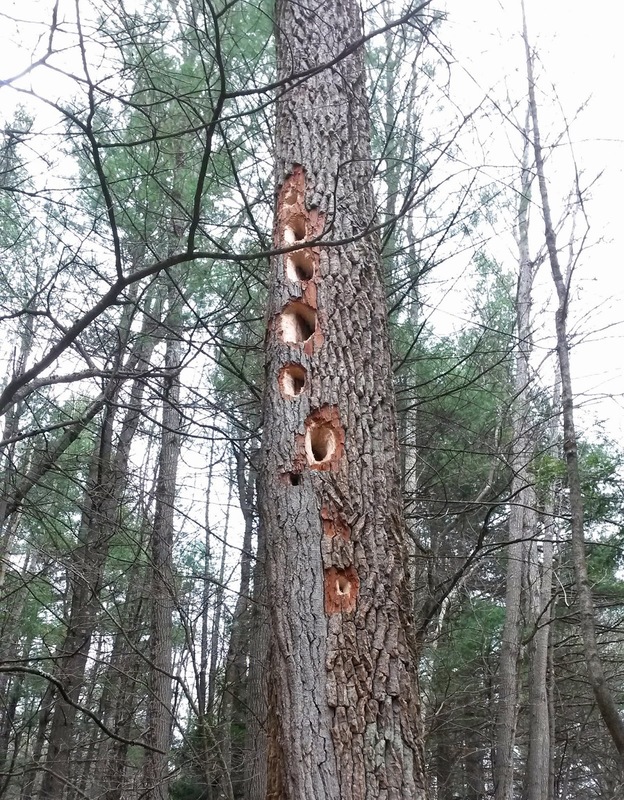 Yep, lots of new holes made by a pileated woodpecker.